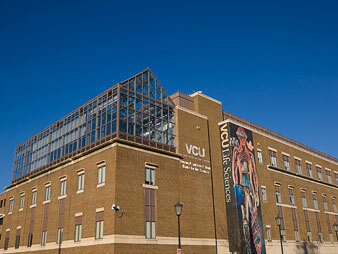 VCU’s Eugene P. and Lois E. Trani Center for Life Sciences fosters interdisciplinary research and instruction in the life sciences. The building houses the Department of Biology, the Center for Environmental Studies and the Office of the Vice Provost for Life Sciences. The 132,000-square-foot building features seven classrooms, two lecture halls, 17 undergraduate instructional laboratories, a student study lounge and computer labs, all equipped with state-of-the-art multimedia technology, as well as a 3,000-square-foot rooftop greenhouse and an aquatics facility that houses up to 20 research tanks.